We're nearly ready to start the Beta program for Jinxter Revived. Anyone and everyone is welcome to participate. If you would like to be involved, please let us know by posting here what operating systems you would like to use. If you would also like to be in the Apple iPhone/iPad tests, please PM me an email address for this. If you would also like to be in the Android tests, please PM me an email address known to Google (eg somebody@gmail.com). Also it would be nice to know the Android device and Android OS version, you're using. definitely interested in participating! i'm on mac and ipad. We're going to try using itch for desktop beta this time. That means there will be a restricted project page only accessible via a download key. I have to send you those keys. For Android, we're going to use the normal Google Play beta process. This involves enrolling people onto beta via their existing Google accounts. For iOS, we have to use the Apple Store beta access programme. If this is the same as last time, it means enrolling you under your Apple email address. The Beta candidate for Windows & Android is close. After that OSX, iOS and Linux. Although I think the beta is looking pretty good, don't expect everything to work. Also bugs in there too. Windows and OSX v1.5.6.9 posted to Itch. But the page has "restricted" access, which means it's by invite only. 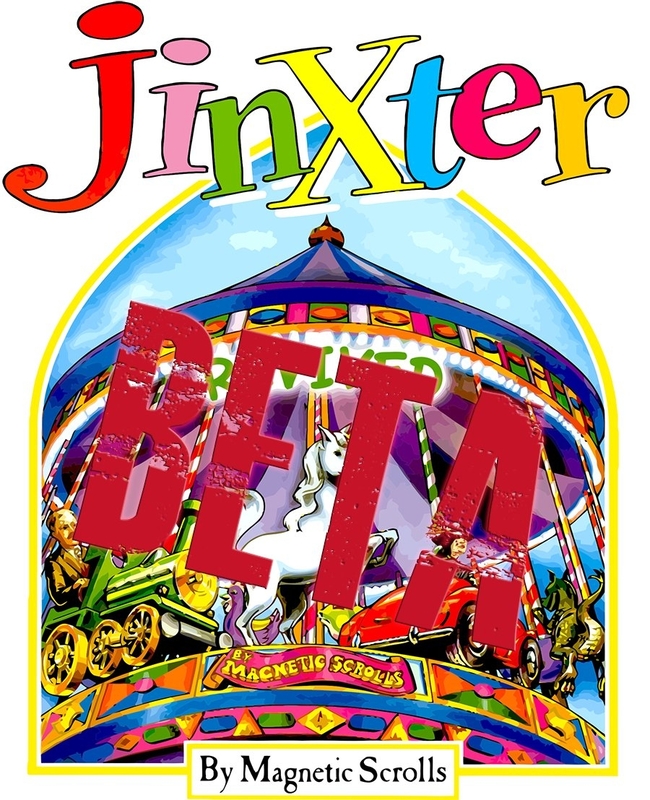 If you would like to have early Jinxter beta access, please PM me for a "download key". Android is in open beta, which means you do not have to be on a list to access it. However, it is "opt in" so you will not (initially) be able to find the page on the public Play Store. The reason why Google Play is "open beta" is because Google have this weird idea that people should pay for beta. In other words, access to the page will only let you buy the app. So, if you want a free test copy, go head and opt in as a tester then PM me for a "promo code". Apple Store betas are held via testflite, which is Apple's beta platform. In order to participate, you have to install the testflite app from the Apple Store. Then you have to accept an invite to test. So Apple beta is by invitation (but at least you don't have to pay!). You need an invite so please PM me the email for the Apple account you installed testflite for the invitation link. Some people have already sent in emails already, i'll send invitations shortly.